He added Russia was “profoundly disturbed” by reports “thugs” from the extremist, right-wing group Right Sector had set the Trade Unions building ablaze. “Such actions are reminiscent of the crimes of the Nazis,” he said, stressing it is not surprising such elements believe they can act with “impunity” when they have the backing of the West. 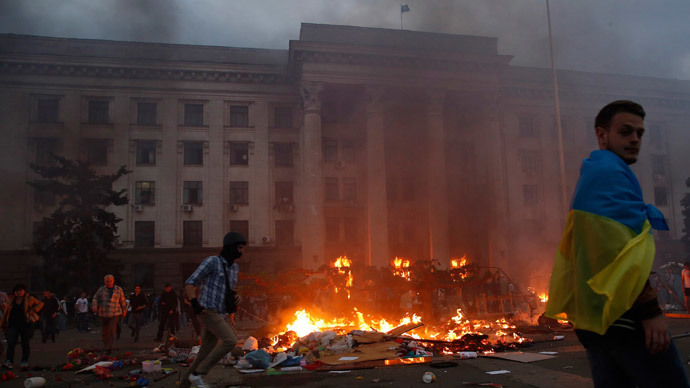 Although the West has moved to condemn the incident, it has stopped short of acknowledging it was pro-Kiev radicals that set the building ablaze and the victims were pro-federalization activists. 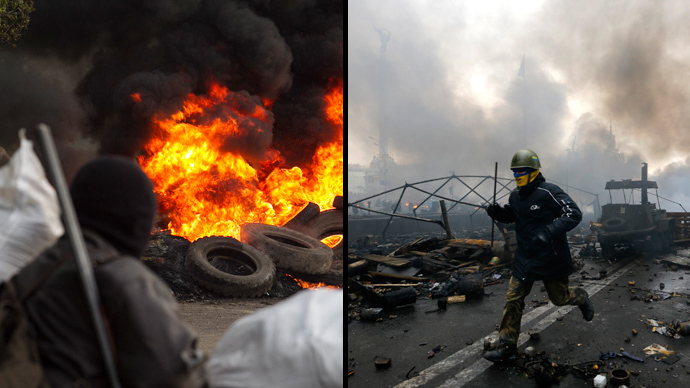 Horrible with at least 38 dead in Odessa. Seems to have started with pro-Russian attempt to get control of buildings. Violence must stop! Furthermore, earlier this week EU foreign policy chief Catherine Ashton said "the state's monopoly on the legitimate use of violence needs to be respected." 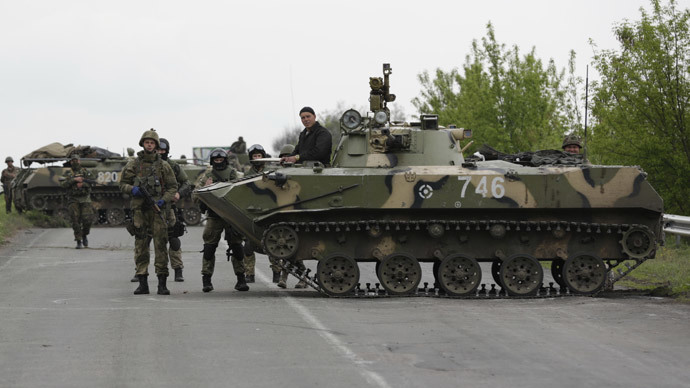 Russia has decried the acting Ukrainian government’s use of force against civilians in the east of the country as a violation of the Geneva agreement reached on April 17. 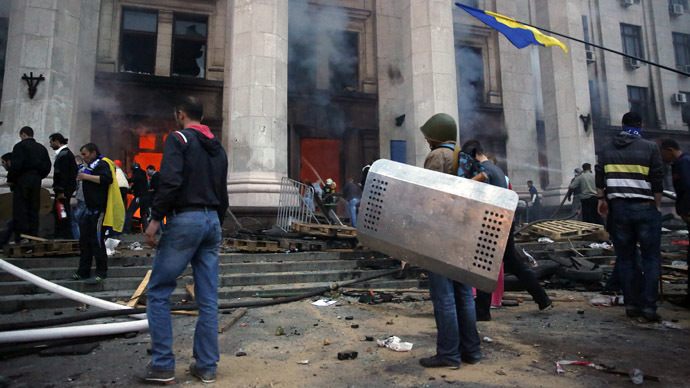 About 10 people were killed and around 30 were injured during recent fighting in the city of Kramatorsk.